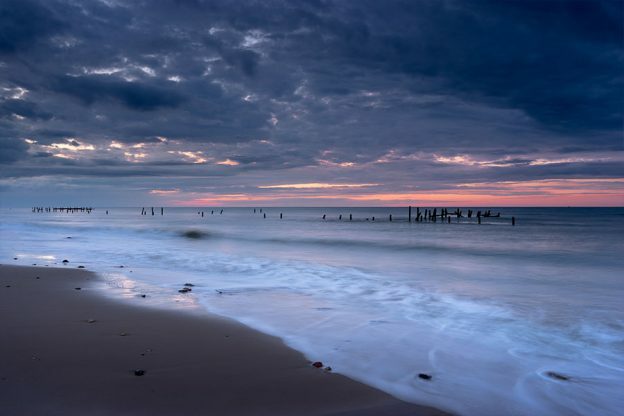 Six miles from the campsite, Happisburgh beach is on the edge of an absolutely beautiful and quaint village. Happisburgh (pronounced ‘haze-burra’) became a site of national archaeological importance in 2010 when flint tools over 800,000 years old were unearthed. This is the oldest evidence of human occupation anywhere in the UK. Happisburgh Norfolk is most well-known for its striking red and white lighthouse. It is a beautiful and very unspoilt bay with amazing views of the incredibly picturesque lighthouse. Smallsticks Café is perfectly positioned on farmland next to Cart Gap beach in Happisburgh and sells scrummy homemade cakes.